The art of coffee has not reached its peak, and I believe the industry is at a crucial tipping point of a cultural explosion, particularly in America. Despite its history of short-sighted coffee ventures, e.g. Dunkin Donuts or any brand of instant coffee, America has a burgeoning fascination with the finer elements of coffee. Go to any modern cultural-revival city like Detroit, MI or Portland, OR and you’ll find an incredible slew of coffeehouses that boast high-quality Arabica beans that are locally-roasted and expertly cupped. Coffee to me has always been about far more than just the taste. I’ve only been drinking it for six years or so, but I’ve been frequenting coffee shops for far longer. I’m what one might call a “coffeehouse tourist”, and whenever I travel to a new city, I visit a least 3 or 4 local establishments. There’s something extra-ordinary about a well-done coffee shop – it’s like a home away from home. It’s an experience that transcends cultures, creating an atmosphere of peace and familiarity in even the most unlikely locations. Now, that’s not to say that there aren’t underachievers out there, but thanks to the advent of services like TripAdvisor and Yelp, it’s easier to find the right places. So what makes a place right? Well, aside from the normal recipe of comfy seats, cheap prices, good coffee and authentic atmosphere, I believe there is an additional element that can disrupt the market for the better. And it will be that last piece that pushes the cultural explosion over the tipping point. This element is “interactivity”, and it is the reason I care enough to invest my time, money and effort in coffee. Coffee is not like other gastronomic hobbies, or obsessions. First of all, in some form or another, it’s consumed by a very significant portion of the world. It’s a drug (caffeine), but is so beyond socially accepted that it’s often considered an essential daily requirement for productivity. Try and take away the coffee pot at your local office building and see what happens. I bet it won’t take long for a full riot to break out. And furthermore, coffee is extremely affordable. It’s generally well-within the budget for most working adults, which continues to feed the aforementioned productivity cycle. So for a product that is so proliferate, and so affordable, how can we further improve on the existing recipe for a successful coffee culture? I think it’s a matter of engagement and convenience, the latter of which has seen stateside improvement as more and more coffeehouses pop up across my country. Starbucks did a great job bringing coffeehouses into the mainstream, but because of its size, risks becoming overly commercial at the expense of customer engagement. To me, engagement refers to “gastronomic pride and ownership”. I believe that if customers can find a convenient way to involve themselves with the foodstuffs they are putting in their body, it will resonant stronger with them and thereby encourage a change in behavior. When it comes to coffee, the average American consumer is significantly under-educated. But in today’s world, true coffee appreciation has many barriers to entry, similar to any other hobby beverages like scotch, wine, beer, etc. But it doesn’t need to. Coffee is not as complex as a scotch whisky, and therefore should be easier to access and appreciate for the amateur consumer. It is wholly possible to enjoy a coffee not because you can identify each note of flavors, but because you recognize and appreciate the process by which it was created. And THAT is where coffee has an advantage over the other hobby drinks. 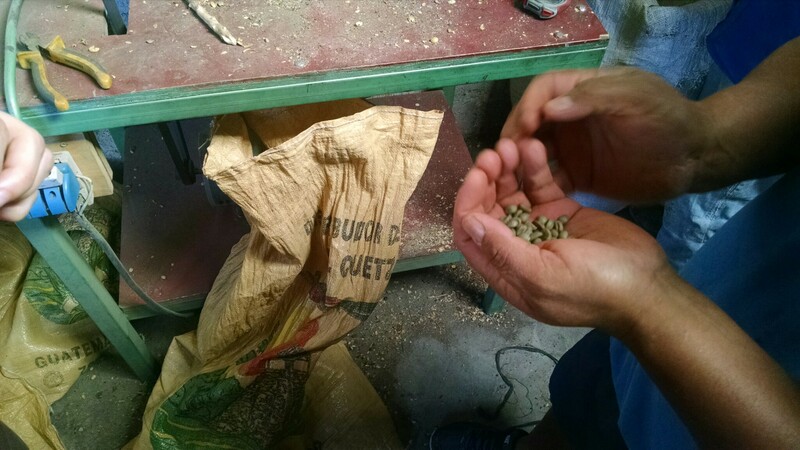 Besides the actual cultivation, coffee can be made in one sitting, right before your eyes. It’s the only one where time is not of the essence. In other words, coffee is accessible because its process is accessible. Which brings me to my vision for the future of coffee: interactivity. I believe it is possible to design a new type of coffeehouse that sets interactivity at the center of the model, allowing customers to physically take part in the process of roasting, grinding, pressing and cupping their beverages. This element of inclusion will forever connect the consumer, even the novice, with the product and create a whole new sense of engagement with their caffeine intake.